Co. Cavan: Ashfield (2), Cootehill (2), Drumgoon, Drung, Knockbride (2), Larah, Rakenny, Tullyvin. Co. Monaghan: Aghabog (2), Cormeen (2), Dawson Grove (2), Drum. The Board also included 6 ex officio Guardians, making a total of 24. The population falling within the union at the 1831 census had been 63,472 — ranging from Tullyvin (population 3,033) to Dawson Grove (7,511) and Cootehill itself (7,335). The new workhouse, built in 1841-2, was designed by George Wilkinson. It occupied a six-acre site a mile to the east of Cootehiil, and could accommodate 800 inmates. The cost of the building was £7,360 plus £808 for fixtures and fittings etc. It was declared fit for the admission of paupers on 15th September 1842, and admitted its first inmates just under three months later on the 2nd December. The workhouse location and layout are shown on the 1913 map below. 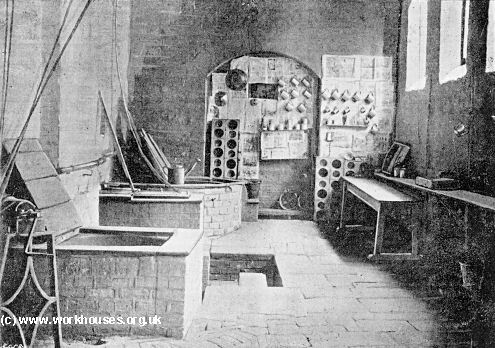 The workhouse followed one of Wilkinson's standard designs, with a front block housing porter's and receiving rooms on the ground floor and a board-room on the first floor. A central block housed dormitories, school rooms, day rooms, kitchen and washhouse. A central spine containing the chapel and dining-hall linked to the rearmost block which housed the workhouse infirmary. A separate fever 40-bed hospital was erected in around 1846 at the west of the workhouse. A burial ground lay to the east of the site. In 1895, Cootehill was visited by a "commission" from the British Medical Journal investigating conditions in Irish workhouse infirmaries. Their report revealed "squalor and wretchedness" in the workhouse infirmary and conditions that were generally dirty and insanitary. 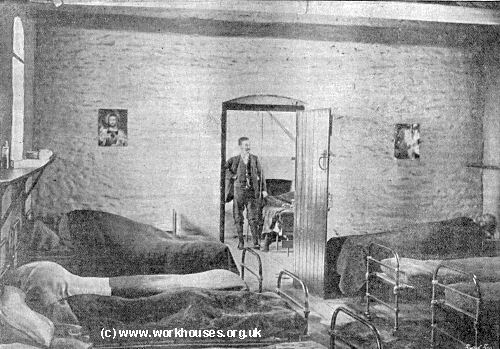 Ideally, the report concluded, the workhouse should be closed down and its inmates moved to those at neighbouring unions. Further details are available in the full report. 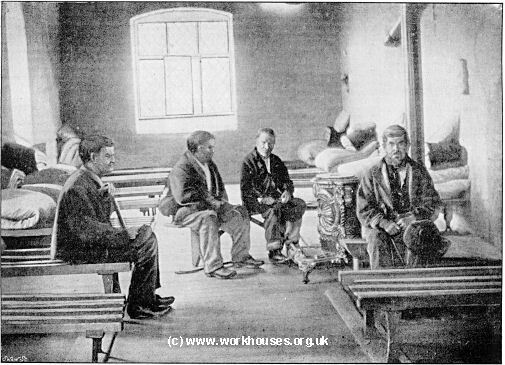 The BMJ's revelations contributed to the introduction of significant improvements in the standard of Irish workhouse nursing, with the employment of pauper inmates ending ending after the passing of 1898 Local Government Act. 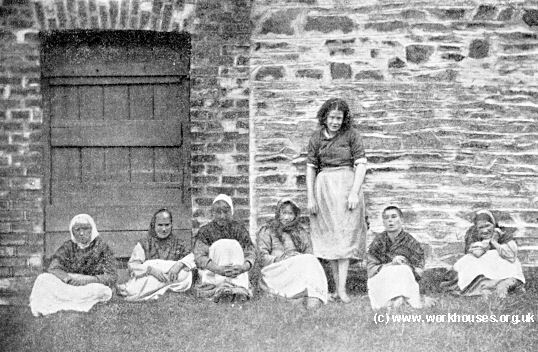 Cootehill workhouse - lunatic inmates, c.1895. In 1914, a proposal was made to dissolve the Cootehill union and convert its workhouse for use as auxiliary asylum accomodation for the counties of Monaghan and Cavan. The Cootehill was dissolved in 1917 and its electoral divisions distributed between the Clones and Cavan unions but the asylum scheme ran into problems such as the need for a new water supply. The former Cootehill workhouse buildings have since been demolished. Cavan County Library, Farnham Street, Cavan, Co. Cavan. Main holdings: Guardians' minute books (1839-1917). Detailed list.